In a not uncommon response to summer-dry heat, a number of trees and shrubs shed their bark in the middle of the summer. 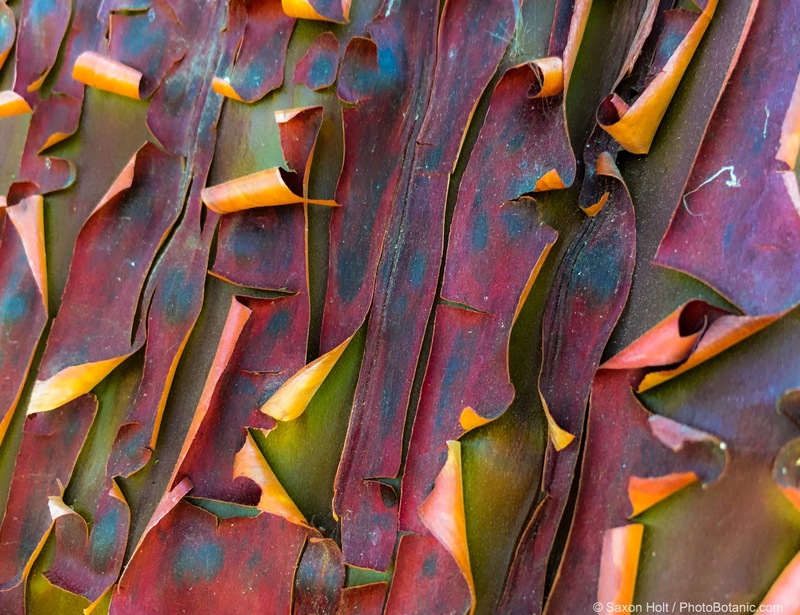 In California, this exfoliation seems to happen almost instantly in Madrone (Arbutus menziesii) and many species of Manzanita (Arctostaphylos) with great delight to any observer who watches these natives with any regularity. One day a walk in the dry woods, the always beautiful red-mahogany bark will be split open, as the bark rolls back and the girth expanding just that much more. In manzanita the bark will curl back in neat tight curlers. 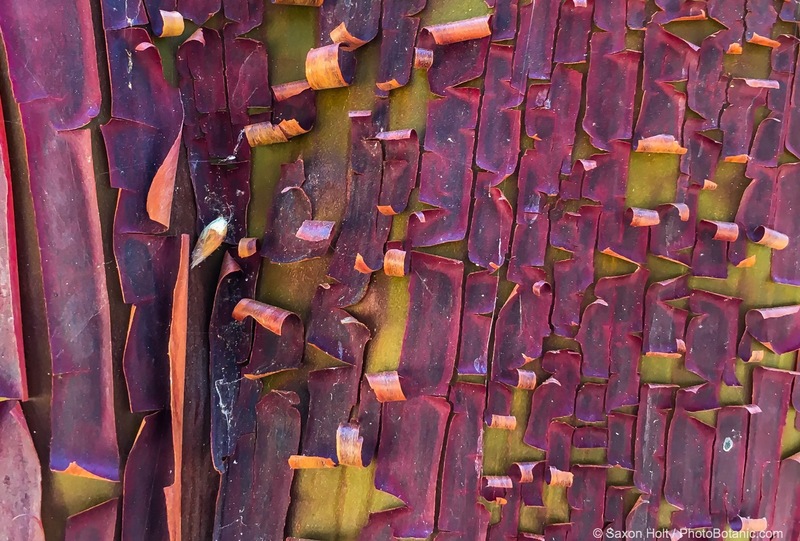 Madrone seems to come off in ribbons. Both of these genus are well adapted to summer-dry conditions but one must be careful to match the right species to the right microclimates. Manzanita are native to many parts of California and gardeners would do well to check with local nurseries, or if you are lucky enough to be in California, check in with your local native plant society chapter to find the best ones. 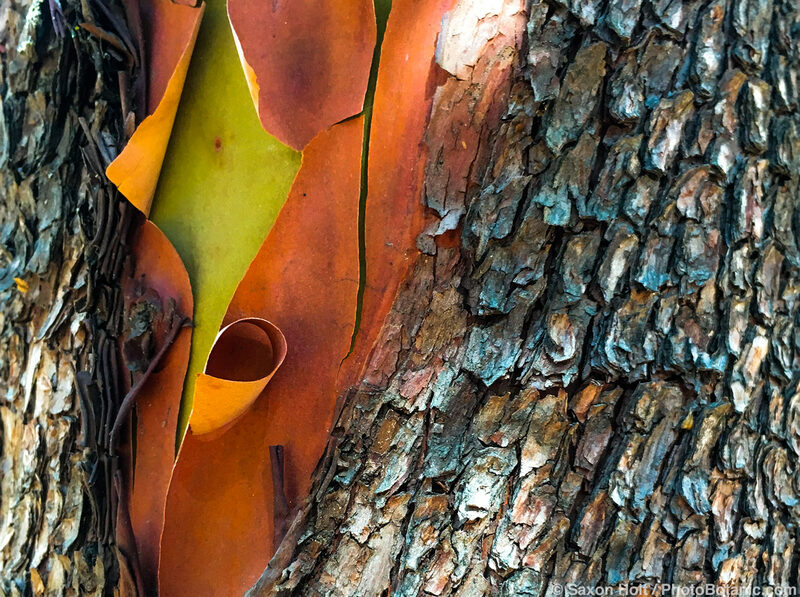 In nature Madrone are found in dry sloping conditions often in the company of taller Bay and Oak trees, and usually need just the right soil mycorrhizal relationships to thrive. Gardeners might consider the Arbutus unedo, a mediterranean native, more adapted to garden conditions. 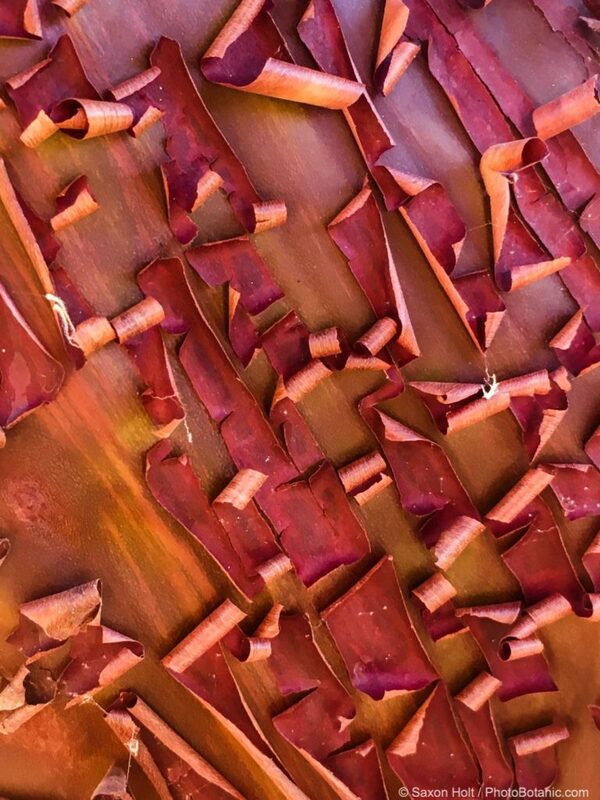 The bark is lovely and the large fruit are highly ornamental but you don’t get the exploding bark. This entry was posted in Blog, trees and tagged california native, shrubs by summerdry. Bookmark the permalink. I never made the connection with “exploding” or peeling / exfoliating bark with summer heat. Makes sense, and the different patterns on different species is a topic unto itself.